1.1.1 What is Golf Clash? 1.1.2 On What Platforms Is Golf Clash Available? This article is primarily meant to share great Golf Clash tips , but I have gone extra miles to include some cheats for cheat lovers. Talking about the structure of this article, we’ll first discuss the game itself, just in case one or more of our readers do not know and have not played the game. Following that, we will talk about platforms on which the game is available, then Clash Golf tips and guide, and lastly Clash Golf cheats. Day in, day out, we experience the release of new mobile games, ranging from arcade to sport, from action to simulation, etc. This week a good number of games have surfaced on the list of trending games, one of which is Golf Clash. I found it quite hard to ignore this game, so I downloaded and played it. Guess what? The game is really amazing. I was so impressed, and I felt it is worthwhile putting up content about this game. Golf Clash is basically, a very interesting golf game. The game allows its players to play against other players online as well as Facebook friends just like Township game as described on my recent posts. Most golf lovers will be skeptical about the quality of this game. Well, I can not blame them, most golf games that have been released so far have not done really great. However, Golf Clash is different. The game is quite simplistic, likewise is its interface. It is a stable game — it does not crash while a user is playing. Not only that, the game has gained a wide acceptance. Not only from golf lovers, but also from new comers in golf sport. On What Platforms Is Golf Clash Available? 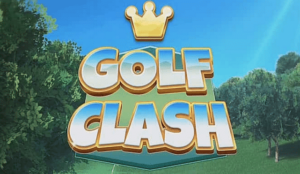 Just like I stated earlier, Golf Clash is a mobile game, so do not expect to see its desktop versions. There are no Windows, Linux, macOS, etc. versions of the game. The game is available on the two most important mobile operating systems, Android and iOS. For Android users, you can get it on Play Store, just search ‘Golf Clash’ on Play Store. However, I am not aware if this game can be got on sources like Amazon, etc. For iPhone users, all you need to do is to visit AppStore. The game has good rating on both platforms. Now that we have given some description about the game (in case our reader is new to the game), we can proceed to the main objective of this article. One thing very common among we game players is that we often wish we had known some useful tips before embarking on a new game. At times, we waste resources (coins, gold, gems, money, etc). At times, we do not make optimum use of our resources. Not until it is too late do we come to learn how we should have used our resources. To save a Clash Golf newbie from such regrets, I have provided this content to guide you on how to play the game. I also left tips so that you can get the best out of the exciting golf game. Here we go. Upon installing and launching the app for the first time, you will be taken through a brief tutorial on how to use the game. The tutorial is more centered around showing players how to use the playing interface. It’s quite simple. Note that in the game, you can only play against other players, you can not play against an AI. It has to be you against a random player around the world, or you against one of your Facebook friends. Golf Clash is one of those few games that facilitate communication between players. A player can send the other player a message while playing the game. You can not send custom messages, only template messages like ‘Good Luck!’, ‘Nice Shot.’, etc can be sent. When playing the game, I encourage that you interact with your opponent. It is not a game of survival, so show goodwill to your opponent. Communication boosts the morale of both players when done correctly. Just like most other games, you are allowed to watch video advertisement; each will last less than 40 seconds. After watching a video advertisement, you will be rewarded. I really recommend that you watch as many video ads as you can. Do not worry about data consumption; video ads are not expensive data-wise. After watching lots of videos, you will find out that only a few mega bytes of data have been used so far. Open chest and claim achievement rewards as soon as they come. A lot of players make the mistake of leaving chests and achievement rewards where they are. Unfortunately, this is not helpful. As soon as you get these items, I strongly advise that you claim/open them. Refusal to claim/open them will often indirectly inhibit you from getting more rewards quickly. Upgrading your game items (golf stick, ball, etc) is also very important. Having good game items will make you progress with ease. However, be careful not to overdo this. You should not upgrade excessively so that you would not run out of upgrading materials prematurely. I know you must be so eager to learn some cheats you can use in the game. Cheats are very juicy, no one argues about that. The cheat available for Clash Golf can not be called a cheat in the strict sense. But do not worry, it is still juicy. Every player of the game has the opportunity to get massive rewards by linking to their Facebook account. The linking process is however easy, in short, the cheat can be used with little or no issues. Another added benefit of linking to your Facebook account is that your game data will be backed-up in case your phone gets lost, or you replace your device. With this, you would not have to start all over from level one. This will also make it possible for you to play the game on multiple devices without starting all over from smart phones you use to play the game.